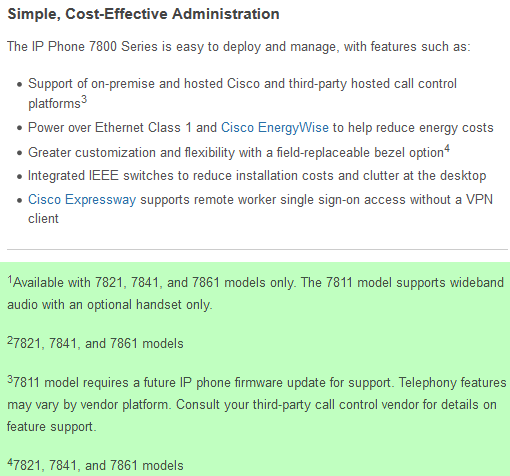 Now, the Cisco IP Phone 7800 Series includes main four models: Cisco IP Phone 7811, 7821, 7841, and 7861. The 7800 Series are Power over Ethernet (PoE) Class 1 rated, helping you optimize port availability in your wiring closets when deployed. In addition, the Cisco EnergyWise Power Save Plus option on the 7821, 7841, and 7861 models reduces power consumption by up to 60 percent in off-work hours. 1Available with 7821, 7841, and 7861 models only. The 7811 model supports wideband audio with an optional handset only. 37811 model requires a future IP phone firmware update for support. Telephony features may vary by vendor platform. Consult your third-party call control vendor for details on feature support. • Cisco IP Phone 7811–A single-line endpoint designed for common areas and knowledge workers with occasional-to-light voice communications needs. It comes with a 3.28-inch (83-mm), high-resolution monochrome display and a speakerphone. It also has an IEEE 10/100 integrated switch to support a local PC. Wideband audio is available via purchase of an optional wideband handset. • Cisco IP Phone 7821–Building on the 7811, the 7821 is a 2-line endpoint for knowledge workers and managers, on-premises or remote, who have light-to-moderate voice communications needs. 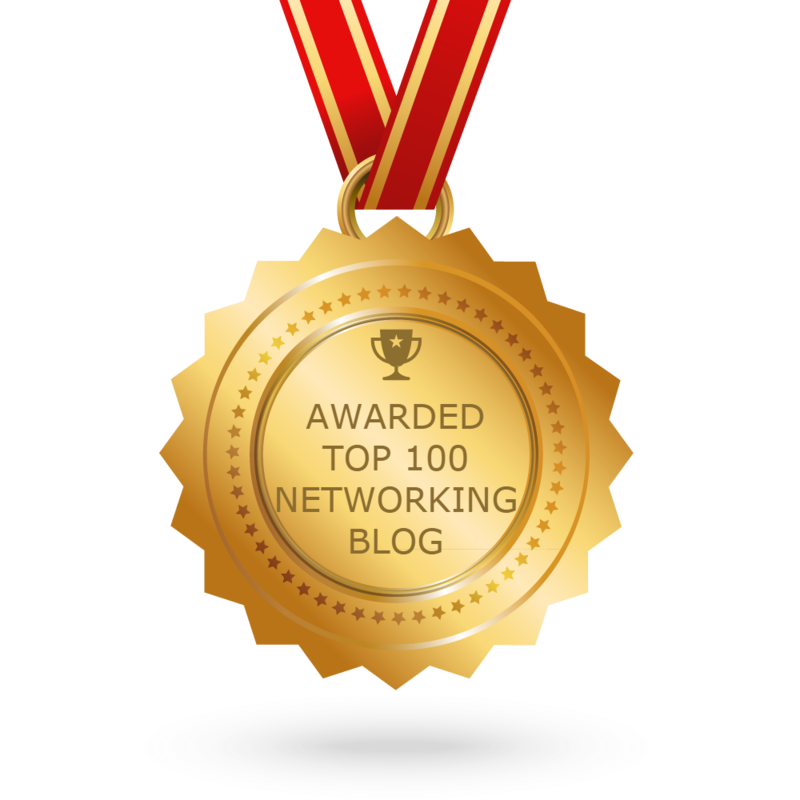 Contact center agents that support small call-queue environments could also have interest. It comes with 2 dedicated programmable line and feature keys, a 3.5-inch (89-mm) backlit display, and support for third-party headsets. Wideband audio comes standard on handset, headset, and the speakerphone. • Cisco IP Phone 7841–Adding to the features of the 7821, the 7841 is a 4-line endpoint for knowledge workers, administrative staff and managers, and contact center agents and supervisors, whether on-premises or remote, with moderate-to-active levels of voice communication needs. It comes standard with 4 dedicated programmable line and feature keys. 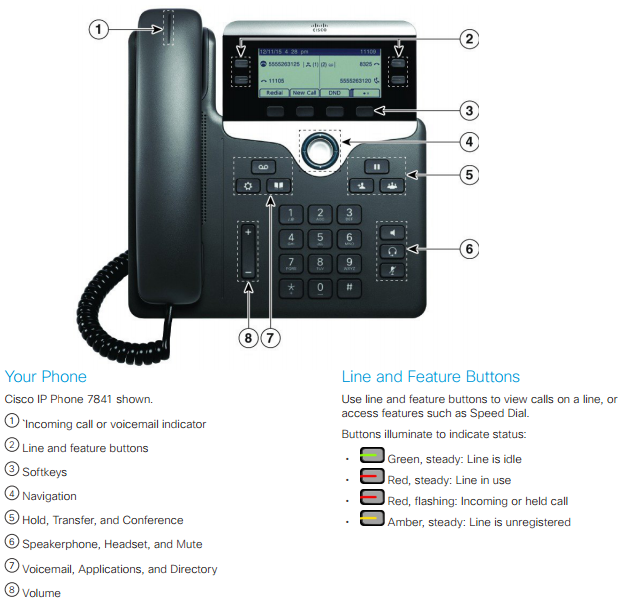 The IP Phone 7841 includes an IEEE 10/100/1000 integrated switch to support a co-located PC. 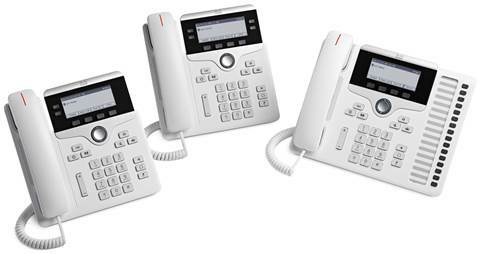 • Cisco IP Phone 7861–A 16-line endpoint with programmable line/ feature keys for administrative staff, managers, contact center agents, and supervisors who require active voice communications support. It comes with a paper label insert that you can locally print to customize its line and feature key labels. It comes standard with an IEEE 10/100 integrated switch. The Cisco IP Phone 7811 and 7821 require a Basic User Connect License (UCL) in order to connect to Cisco Unified Communications Manager. The Cisco IP Phone 7841 and 7861 require an Enhanced User Connect License (UCL) in order to connect to Cisco Unified Communications Manager.